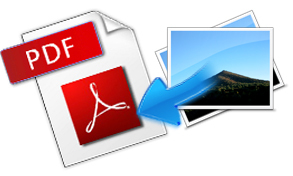 Convert images of various formats to PDF. Encrypt and protect created PDF. 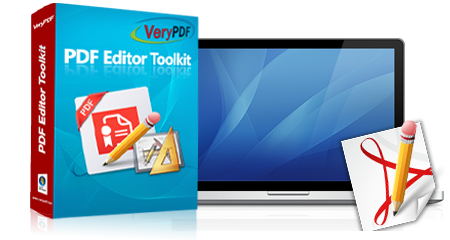 PDF Editor Toolkit SDK and PDF Editor Toolkit Professional SDK are Software Development Kits (SDK) for developer and server operators. They provide functions of editing PDF, such as creating PDF, converting images to PDF, merging PDF and splitting PDF. They are compatible with programing languages like C++, VB, Delphi, ASP, and .NET. With these SDKs, developers can implement PDF editing functions in their software without other PDF editing software. The two SDKs can be easily used in programing languages including C++, VB, Delphi, ASP, and .NET. Developers can implement the functions with any one of the programing languages. PDF Editor Toolkit has the function of converting images to PDF. It supports image formats of TIFF, JPEG, PNG, GIF, PCD, PSD, TGA, BMP, DCX, PIC, EMF, and WMF. For TIFF, it can convert multipage TIFF to PDF. PDF Editor Toolkit can protect created PDF with 48 or 128-bit encryption. It supports both user password and owner password. PDF Editor Toolkit Professional can encrypt existing PDF that is not created by it. Support programing languages of C++, VB, Delphi, ASP, and .NET, etc.. Create PDF from text and image. Use Standard Base 14 Fonts of PDF. Convert images of TIFF, JPEG, PNG, GIF, PCD, PSD, TGA, BMP, DCX, PIC, EMF, and WMF to PDF. Convert multipage TIFF to PDF. Protect created PDF with 48 or 128-bit encryption. Append PDF to existing PDF. Directly convert text to PDF. Create PDF from image on clipboard. Add image into arbitrary positions of PDF. Provide C++, VB and ASP examples. Stamp PDF with text, image and graphics. Add stamp to PDF page header or footer. Support multiple line text within one stamp item. Encrypt PD with 48 or 128-bit encryption. Set permissions of printing, editing, copying of document. Remove owner password of PDF. Directly add watermark to TIFF, JPG, BMP, PCX, GIF, etc. Add text watermark to image. Add image watermark to image. Add manual drawing watermark to image. Print image and PDF to a printer with specified paper size and orientation.